The Indian economy has clocked in an impressive growth rate, especially observing the 25 years that have gone by. While critics argue that this growth has been disproportionate across sectors, we focus on the vertical that continues to march forward. Considered as the lifeline of our economy, the Indian transportation industry has seen steadfast growth. And with it, allied sectors are bound to showcase their own success stories. The commercial vehicles employed in India thus far have aided the freight industry in escalating trade, commerce and communication. And with this upswing comes changes in terms of requirements and stipulations. The logistics sphere has observed a keen shift in business expenses, particularly from OPEX to CAPEX. And then comes the demand for fleet size expansion, improved driver engagement and safety features, embedding latest technologies, enhancing the driver’s skill set and driver monitoring for all stakeholders involved. The basis for this monumental shift comes from the portrayal of CVs as the crux of transportation industry advancement. While it seems straightforward on the surface, the depth has another story to tell. The original equipment manufacturers (OEMs) face a dilemma of their own. Going by the upcoming regulations and the change in trends, it is in their best interest to dive headstrong into innovation. They must compete in powerful economies that already have established, sustainable and digitally transformed commercial vehicle manufacturers. On the flip side, they must also cement their customer base in upcoming economies that have promising low-cost markets. But in order to do so, they would have to alter their business models and modify their product conceptualisation. The BRIC (Brazil, Russia, India and China) countries continue to show steady competition and emergence in international markets. Specifically, CV manufacturers in India and China have already jumped on the bandwagon and are showing formidable growth. India is touted as the fastest growing economy in the world. Rightly so, since the Indian market has substantial growth opportunities to offer in the manufacturing sector. This comes after the structural revamping experienced by the country in the face of Goods and Services Tax (GST). GST has put the Indian economy on the map, with trends suggesting acceleration in growth in the coming two decades. Moreover, analysis imply that the rate at which India is moving, it will become a 5 per cent contributor to the GDP globally by the year 2025. Talking about the commercial vehicle industry, the Indian manufacturing vertical has a massive role to play globally. Indian economy, although chiefly domestic consumer dependent, has the edge to support manufacturing on a global scale. However, the question still remains: how advantageous will this economic growth be for the commercial vehicle industry in years to come? And how will factors like market, technology, mandates and incumbent contenders play a role in the future of Indian CV industry? The previous financial year has been profitable for the commercial vehicle industry, attaining growth amplification by 20%. Maintaining the momentum since the past 5 years, 2018 was a reminder to the industry of the time in 2011-12, when the industry volumes were at their peak. As GST hurtled down the commercial segment, a steep rise was witnessed in the demand for CV manufacture and utilisation. Moreover, the entire freightage business is experiencing a seismic change in its operations and supply chain management. The market is booming as structural reforms are underway. The market forecast points towards an increase in the sale of Light and Intermediate commercial vehicles, given the heightened demand for high tonnage trucks. And while the Indian manufacturers have aptly cemented their base in their home ground, their contribution in the global market still leaves a lot to be desired. 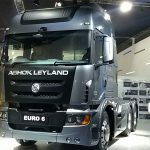 However, the truck production cycle is set to double in the coming years, owing to the industries overseas seeking “budget trucks”. So as truck model export takes off, the CV industry in India should expect to see 8-10% of their homegrown trucks being exported considerably by the year 2021. The impact of the rise in CV industry in India is being felt in full force, with government ordinances raining down by the barrel. As history suggests, regulations may not have a huge impact in the long run. However, as regulations keep coming in, compliance seems to be the issue that the authorities might struggle with. The industry is gearing up for the Indian government’s initiative to align itself with the European Union regulations for emission standards. The BS VI emission standards are the talk of the town, with a surprising jump from BS V level emission standard to a stricter one. As the standard is supposed to go into effect by April 1, 2020, the CV OEMs are modifying their model plans and joining forces with technology. According to the BS VI proposal, the Indian Ministry of Road Transport and Highways (MoRTH) has specified the mass emission standards, approval requirements and OBD system requisite for every category of vehicle. New axle load norms are also underway to alter the commercial vehicle landscape. This change comes after the 1996 reconfirmation. And now the government is striving to put electric commercial vehicles on the forefront, persuading manufacturers to alter their engine design and embrace environment-friendly energy options. These decrees are set to propel the Indian CV industry to stand shoulder-to-shoulder with their global counterparts, advertising cleaner vehicles and zero to lowest emission count possible. One of the most pivotal entity to have an impact on the Indian commercial vehicle industry is technology. And the major players in the manufacturing sector have already aligned their business practices with this surge in advancement and innovation. From environmental consideration, resource availability to social and geographical changes – the trends across the globe are affecting the competition worldwide. With heightened sensitivity towards environmental issues, stringent directives regarding optimum fuel efficiency and emission reduction are on the horizon. Manufacturing of engines that are mindful of nitrogen oxide release and particulate matter discharge is already in progress. Further, the CV OEMs are looking into exploring alternate energy sources, natural gas and hybrid vehicles being the prime contenders. 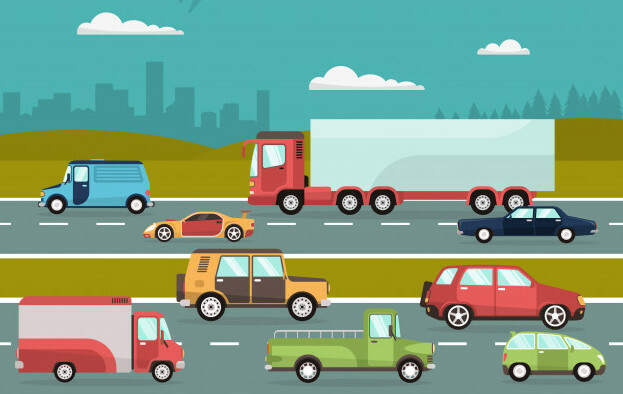 Connectivity within the vehicles and their hubs is the next logical step for fleet monitoring and control. 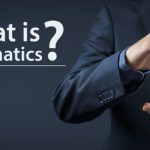 With Telematics, fleet management operations will be effectively streamlined. CV data will be transmitted while the vehicle is on the move, thus optimising availability, costs and logistics. 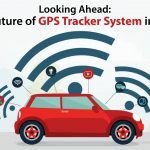 The future also looks bright in terms of vehicle and driver safety, with instant alerts and notifications for surveillance. 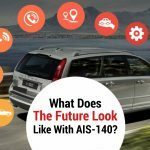 With the introduction of AIS 140 in the commercial vehicle sphere, the integration of technology into CVs has already begun. The challenge here, however, is actual compliance to new rules and regulations to allow innovation lead the course of Indian commercial vehicle industry. Next Post Next post: Are You Getting the Most Out of Your Fleet Management Software?